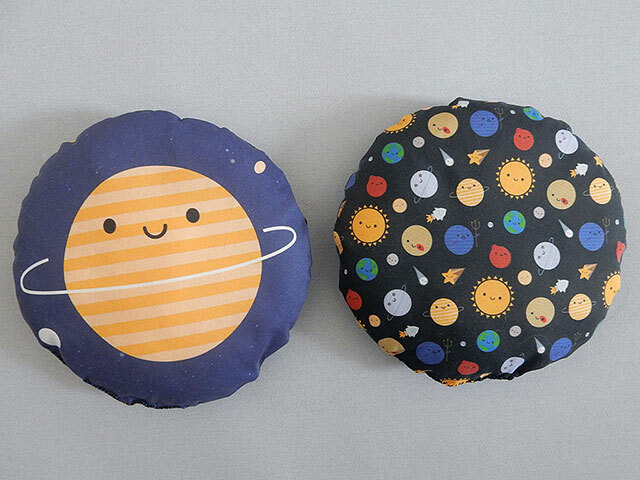 A rare Sunday blog post as there’s a mini pillows sample sale happening right now! 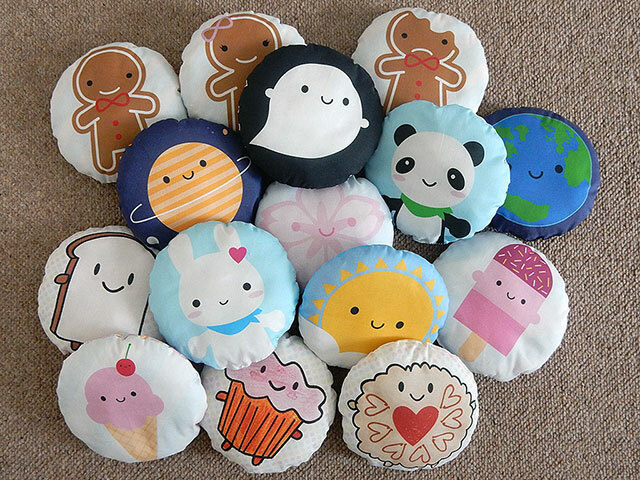 Me and my mum have been sewing and stuffing a whole new range of cut and sew mini pillows for my Spoonflower store. Now that they’ve been tested and photographed, I’ve putting all the samples up for sale. Except the Ghost – I’m keeping the Ghost! Each pillow is around 6″ in diameter with one of my kawaii characters on the front and a matching repeat pattern on the reverse. They’re lightly stuffed with polyester stuffing and hand-finished. 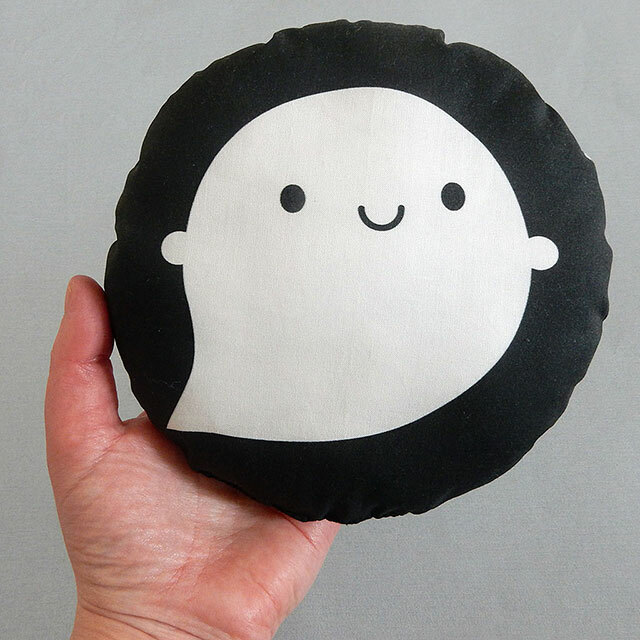 If you fancy a squishy new friend to add to your sofa or display shelf, go grab one for £6. 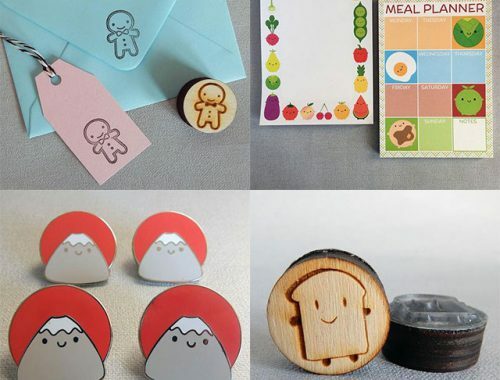 They’re only listed in my Etsy shop so that you can order more than one and pay the same shipping cost (Shopify is not great with calculating shipping costs for light but bulky items). 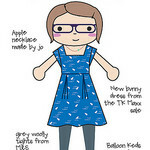 I won’t be making more of these myself but you can sew your own from a swatch of fabric. 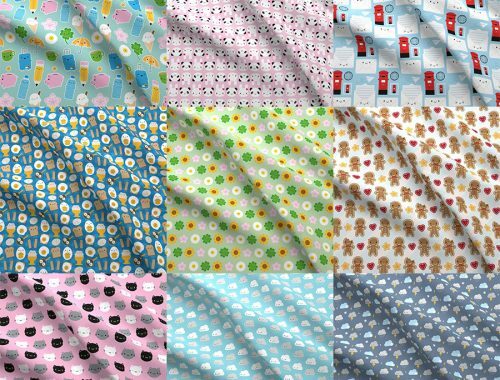 I’ll blog more about the patterns later this week.